Scott Meissner has spent his life in the medical field, but in very different areas. His early career consisted of serving as a trainer in the Brewers system. He trained in the Arizona, Midwest and California leagues. Meissner also served as a trainer in junior college and high school athletics. Meissner then stayed in medicine, but turned to other areas, including urgent care, rural care and correctional medicine. More recently, he joined the medical staff of a hospital in his native Montana. Meissner's received his bachelor's degree in secondary education and sports medicine from Western Montana College in 1988. A year earlier, he served as trainer for the Montana East-West Shrine Game. His pro training career began in 1989, when he served as trainer for the rookie Arizona League Brewers as they won the league title. 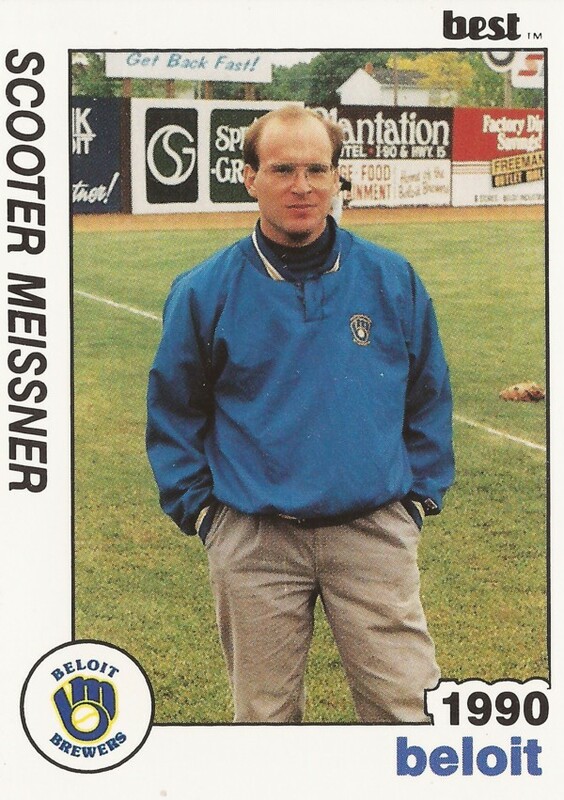 He moved to single-A Beloit in 1990, where he was credited on one card under the name Scooter Meissner. 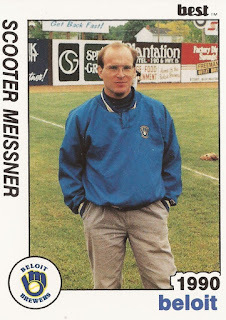 Meissner is last recorded as training in the minors in 1993, serving at high-A Stockton. Meissner soon returned to Montana and earned his physician assistant certification. He amassed 16 years in urgent care medicine, according to his hospital bio. He joined the medical staff at Mountainview Medical Center after working seven years part time. "I grew up in Fort Benton, MT and continue to appreciate the life of small town Montana," his Mountainview bio reads. "Outside of work, I enjoy running, hunting, golfing and spending time with my family."